By buying this product you can collect up to 1588 bonuspoints. Vagnsset med 6 godsvagnar 'Bundesliga', set 1, totallängd över buffertar 69 cm, epok VI. 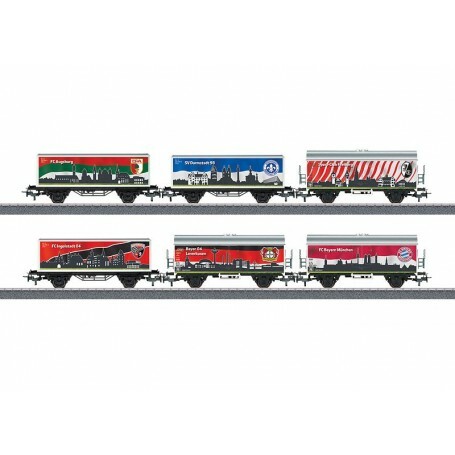 The 36655 diesel locomotive from the Märklin Start up assortment and the 44813 and 44814 car sets go with this car set.